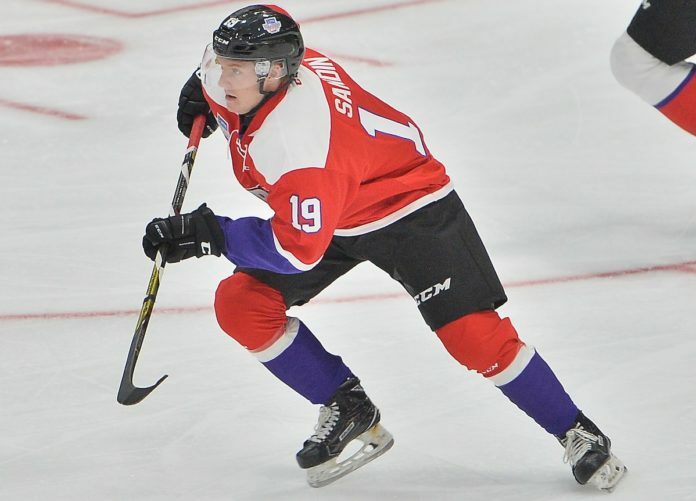 Rasmus Sandin of the Sault Ste. Marie Greyhounds represents Team Cherry in the 2018 Sherwin-Williams CHL / NHL Top Prospects Game held in Guelph,ON on Thursday January 25. Photo by Terry Wilson / CHL Images. 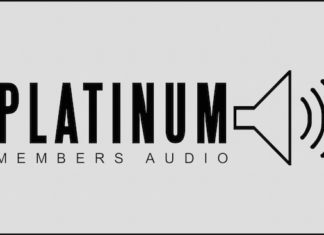 We’re catching up on adding some audio from a few recent radio segments. 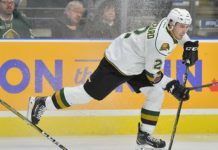 This audio is a combination of three segments that aired on Sirius NHL Radio and TSN Radio’s Hockey Prospects show. 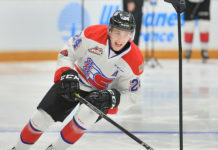 The first two segments were recorded on January 1tth and the third segment was recorded just prior to the CHL Top Prospects game on January 25th. 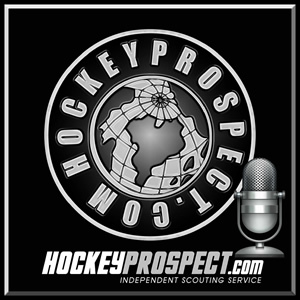 HP’s Mark Edwards joined hosts Shane Malloy and Russ Cohen to talk about some players eligible for the 2018 NHL Draft. 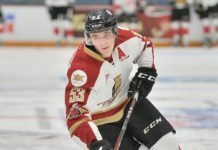 Mark talks about several 2018 NHL Draft eligible players including Rasmus Dahlin, Joseph Veleno, Ryan McLeod, Barrett Hayton, Ryan Merkley, Rasmus Sandin, Jonathan Tychonick and Calen Addison . Included in these three combined segments are some quick thoughts on evaluating players.